No big new titles this week for Japan as 3DS games continue to reign. 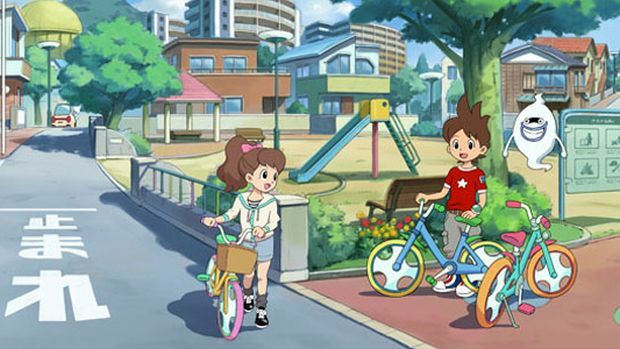 Level-5’s Youkai Watch spent another week as Japan’s best selling game, according to Media Create software charts for May 5th to 11th. It sold 58,906 units this week on the 3DS, with lifetime sales now at 919,730 units. There weren’t any big debuts for the top ten, so Mario Golf: World Tour and Mario Party: Island Tour remained in their respective places, selling 28,882 units and 20,065 units respectively this week. Bandai Namco’s Sword Art Online: Hollow Fragment for the PS Vita was in fourth place with 15,972 units sold and 193,513 lifetime sales while Theatrhythm Final Fantasy: Curtain Call was at fifth place with 10,525 units and 115,956 lifetime sales. The remainder of the top ten was composed of 3DS titles with Kirby: Triple Deluxe, Pokemon X and Y, Wagamama Fashion Girls Mode Yokubari Sengen! Tokimeki Up!, Kaseki Horider: Mugen Gear and Animal Crossing: New Leaf. New Leaf is especially amazing since it’s averaged more than 3.7 million units sold thus far in its lifetime.